Remember when I said that the Saint John restaurant scene is really hot right now? Well, this week is one of the reasons why. It’s the 2nd annual Uptown Burger Week and it falls on the same week as my birthday. What luck! Whoever thought up Burger Week is a genius. Chefs in the Uptown area create original burger menus for this week only. Unique burgers you won’t find anywhere else, like The Poutine Burger (Britt’s) and the Baloney Burger (Port City Royal). There is truly something for everyone: beef, turkey, veggie, lamb, chicken, and fish options are available. You can even get a Dessert Burger that looks to-die-for (East Coast Bistro). People come out in droves to try these unique burgers. I don’t know what the actual sales numbers are, but I do know that during Burger Week, my Twitter feed is so loaded with photos of delicious burgers that it makes you salivate just rolling through your feed. Other reasons this is the best week ever: it’s my birthday and I got some new hiking boots for when we tackle Cape Chignecto later this summer (thanks, River and Trail Outdoor Co!). Also, we had our first couple +20 degree days this week and it was glorious! Lawns are turning green, trees are budding, spring is here and the burgers are fantastic. Like I said, best week ever. Poutine Burger on left, Mecklenburger on right. Britt’s Pub. 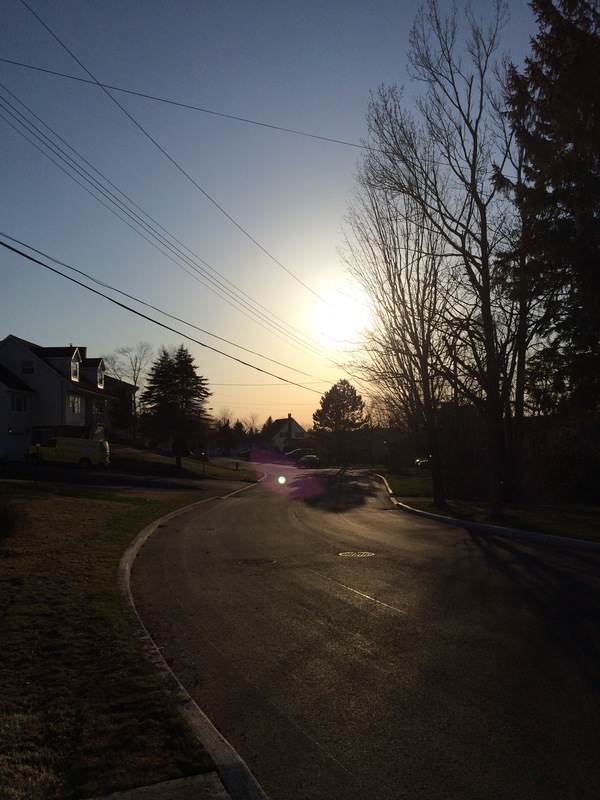 Beautiful evening for a walk. 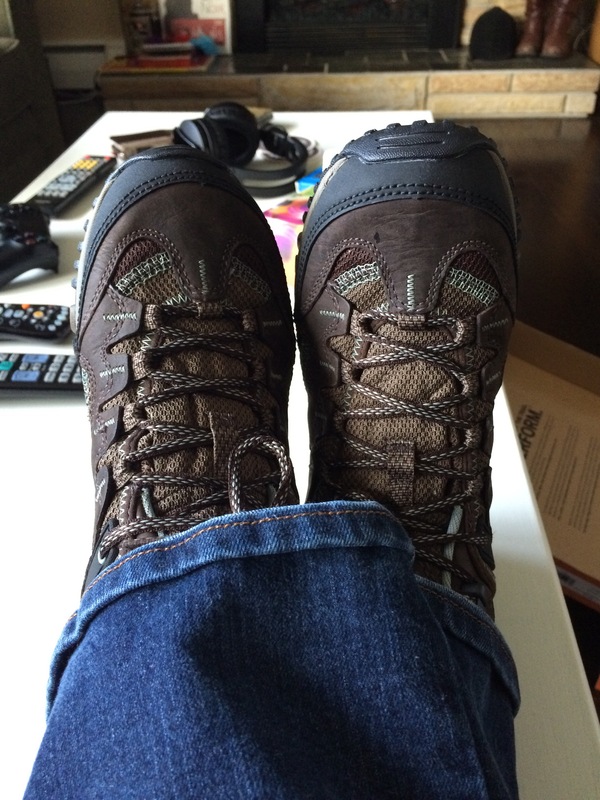 New hiking boots from River and Trail Outdoor Co. HBD to me!